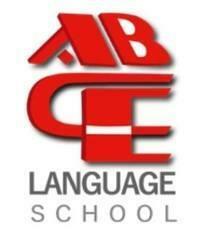 ABCE Language School Inc. was founded in 1995 by Moe Chaouni. Mr. Chaouni is a highly experienced language teacher and evaluator with many years of experience teaching and testing adults. ABCE Language School Inc. is officially accredited by the Federal Government of Canada. of service and a commitment to help you succeed. We are dedicated to providing an optimum learning environment, ensuring students receive personalized, top quality instruction in a friendly and enriching atmosphere, and develop speaking and listening confidence. We offer spacious, sun lit, comfortable classrooms with four well-equipped lunchroom facilities. In addition all our classrooms are equipped with modern computers providing access to high speed internet and language teaching/learning software for listening, reading and writing practice. Our premises are also equipped with Wi-Fi signal providing access to internet on personal devices of our clients. We offer year round full-time and part-time immersion programs at the Beginner, Intermediate and Advanced levels. These programs are designed to improve listening, speaking, reading, writing, and pronunciation skills. Our focus however tends to be on oral work as we realize that this is often the element of language that is most sorely lacking for foreign students. Classes are limited to ten students. This means that each student gets a lot of individualized attention, and plenty of chances to participate. Optional extra-curricular activities and excursions are provided which ensures that students are given real-life situations in which to practice their English. Hard to work around your busy schedule but still need to practice English? Or perhaps you have a specific need, such as Business Writing, Pronunciation Practice, or just plain intensive conversation? We will be happy to customize a program for you to suit your objectives. ABCE Language School Inc. offers customized programs for groups and organizations, which can be arranged and negotiated in terms of curriculum, starting dates, period of training, number of students per class and prices. Ask us what we can do for you! LEARN ENGLISH AND DISCOVER CANADA! These short-term vacation programs for young adults and teenagers combine learning English with extra-curricular fun! Small group classes designed to improve listening, speaking, reading, writing, pronunciation and intonation skills. Our vacation programs are open to both individuals and groups.